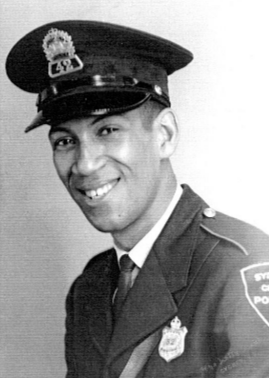 When Carl "Campy" Crawford of Whitney Pier joined the Sydney Police Service in 1964, he became the first black municipal police officer east of Montreal. But family members say his reputation on the streets of Sydney is his real legacy. His wife Iris (Ifill) Crawford says she is proud of Campy’s approach to community policing, and that his philosophy was to have a kind heart and respect for others. The annual award presented by the Cape Breton Regional Police Service recognizes people who help their community through leadership, volunteerism, and social justice. Crawford is an inductee of the Black Wall of Fame at the Black Cultural Centre of Nova Scotia, located in Cherrybrook, near Dartmouth. Campy died in 2003 at the age of 64. He is survived by his wife Iris, four children, and four grandchildren. Learn more about the Carl ‘Campy’ Crawford Award” HERE.